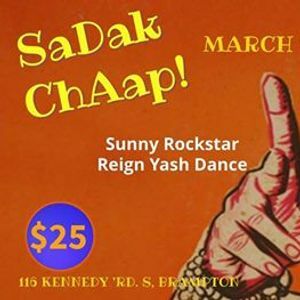 LAVA Lounge - SaDak ChAap! 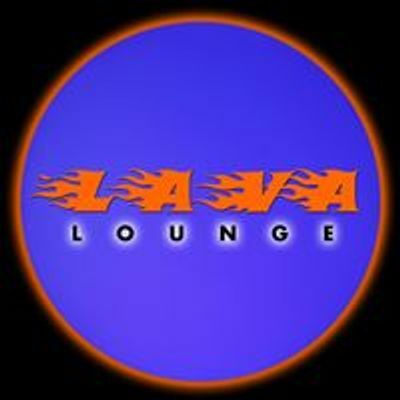 LAVA Lounge - SaDak ChAap! 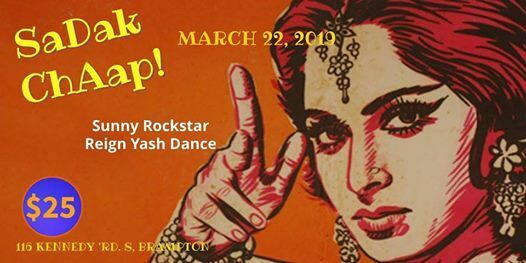 - Get your inner Bollywood Superstar to come out and groove with us March 22nd. Come spend your evening with us in our 'GULLY' as we entertain you with a live artist, dinner and a dance party! Dress up as your favourite Bollywood star from the 70's, 80's or 90's or come to impress in your own outful! Get ready to sing and dance with our featured artist, SUNNY V! He needs no introduction really as his melodious voice, amazing dance skills and star quality with hundreds of international and national shows. His artist profile which will be released soon! DJ DEE will spin Bollywood hits from Salman Khan, Govinda, Amitabh Bachchan, Anil Kapoor, Sanjay Dutt, Akshay Kumar, Aamir Khan, Karishma Kapoor, Madhuri Dixit, Raveena Tandon, Urmila Matondkar and Sridevi. Hits such as Ek Do Teen, Aati Kaya Khandala, My Name is Lakhan, Yayi Re Yayi Re, Chikni Chameli, Kajra Re, M Bole Toh, Urvashi Urvashi, Tu Cheez Badi Hai Mast Mast, Jumma Chumma, Humma Humma, Kisi Disco Main Jaaye, Selfie Lele Re, and Khai Ke Paan Banaraswala. Totally SaDak ChAap! Enjoy an uptown lounge club experience in the heart of the suburbs at LAVA LOUNGE with $2-$10 drinks and street style appetizers and dinner prepared by Chef Harminder of Culinary Stars. We have ample parking space at this venue! Soft Drinks and Juice - $2, Liquor - $10 cash bar. No Refunds after purchase of tickets. No - carry your ticket on your phone for check in. Yes - provided you have contacted us with the change. You will need to provide us with the guest name.